On August 28, Washington State University will open its football season with the annual “Seattle Game,” the one home match the Cougars play each year 300 miles from their base in Pullman. (Probably for the last time, too.) The opponent in CenturyLink Field this time is Rutgers, New Jersey’s state university. The game will be the first for Rutgers as a member of the Big Ten (which for $ome rea$on now ha$ 14 team$). You’ll probably hear a lot about the long storied history of Rutgers. 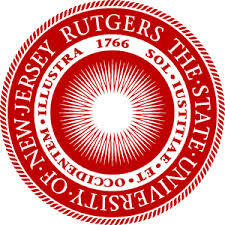 Founded in 1766 with a charter signed by Ben Franklin’s illegitimate son, Rutgers is exactly twice as old as Wazzu (started in 1890), and for that matter 95 years older than Seattle’s University of Washington. You might even hear about the participation of Rutgers in what it and many sports enthusiasts call the first college football game, against Princeton in New Brunswick, N.J., on November 6, 1869. But as the holder of two Rutgers degrees (as well as two tickets I bought for the Seattle Game), I’m here to tell you that contest was not a football game as the term is now understood in the U.S. It was a soccer match. That didn’t stop Rutgers from running for decades a bogus and ultimately unsuccessful campaign that college football started on the campus and that it should be the home of the College Football Home of Fame. Given the financial improprieties that plagued the hall’s official owner, the National Football Foundation, Rutgers probably ducked a bullet. The hall of fame has moved around–like, one might say, a football–and just relocated again, from South Bend, Ind., to Atlanta. In fact, the grand re-opening is scheduled for this weekend. As a weekend referee of youth soccer for 17 years, I might fairly be accused of having a bias here. But I think it a slight against the great sport of soccer for the athletic community not to acknowledge that the famous Rutgers-Princeton encounter in 1869 had little to do with tackle football, which would not even be invented for several years thereafter. 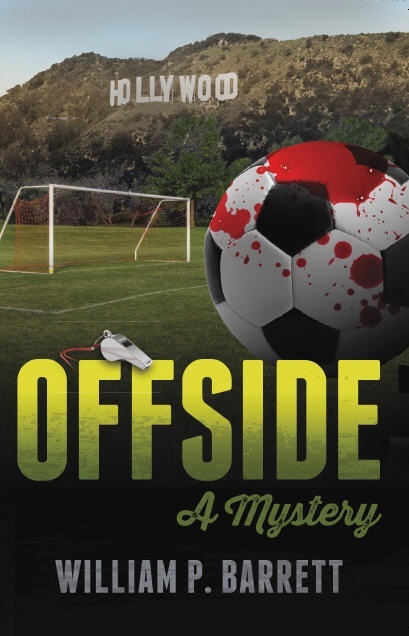 What follows is my New To Seattle take on the back story, which–plug plug–is liberally borrowed from a novel I’ve written, entitled OFFSIDE: A Mystery–scheduled for publication this fall. The Rutgers-Princeton match came about six years after rival football factions met in a London pub and during a series of meetings hashed out formal rules for soccer under the umbrella of the newly formed Football Association. (Soccer, in case you wonder, is an abbreviated corruption derived from the term “asSOCiation footballER.”) The set of rules, or laws as they were called, was an amazingly brief six pages long and finalized just 19 days after the world’s most famous amazingly brief speech, Lincoln’s Gettysburg Address. The laws greatly restricted the use of hands. Those who objected to the new rules went off and developed their own sport: rugby. On our side of the Atlantic, students at elite East Coast colleges for much of the 19th century’s first half had staged intramural but not inter-scholastic contests of football, as the basic sport of kicking a ball with a foot was called. Some administrations were not pleased. At various times Columbia and Harvard banned the sport. But the end of the Civil War in 1865 was a catalyst for all kinds of change. In the fall of 1869 student leaders at Rutgers and Princeton–just 18 miles apart via the handy Pennsylvania Railroad–hashed out plans for a three-game series, with the first on the Rutgers campus in New Brunswick. The rules, chosen by Rutgers as the home team, definitely were British FA, meaning soccer. Players could not run with the ball, which could be advanced through kicking or heading, although it was legal (as it was then in British soccer) to catch the ball with the hands and put it on the ground to be kicked. The goals were 25 feet wide, and the idea was to propel the ball between the uprights (whether there was a crossbar remains unclear). Teams consisted of a massive 25 players each. The first to score six goals would be declared the winner. The venue was a stony, empty 100-yard-wide lot along New Brunswick’s College Avenue surrounded by a low wooden fence that spectators sat on top of, like pigeons on a clothesline. There couldn’t have been more than 100 spectators watching. But as the game’s legend grew over the decades, so did the number of people claiming to be in attendance. Everyone played in street clothes. Since neither team had uniforms, the Rutgers players all wore purple scarves or handkerchiefs–the school mascot later became the Scarlet Knight–wrapped around their heads. This added a bizarre Middle Eastern cant to this most quintessentially historic of American cultural occasions. Even though an unidentified Rutgers player accidentally kicked the ball toward his own goal, leading to a Princeton score, the Rutgers ragheads won, 6-4. At the rematch a week later in Princeton, using more rugby-like rules, the home team prevailed, 8-0. The third match was canceled after professors from both schools complained students were neglecting their studies. Within a few years, the eastern collegiate establishment, and especially Harvard, decided that British-style soccer was not “manly” enough. They endorsed Walter Camp’s vision of a set-play, carry-the-ball, head-thumping tackle sport. Thus, the first college football game was probably a match between Harvard and Yale in New Haven, Conn., on November 13, 1875. 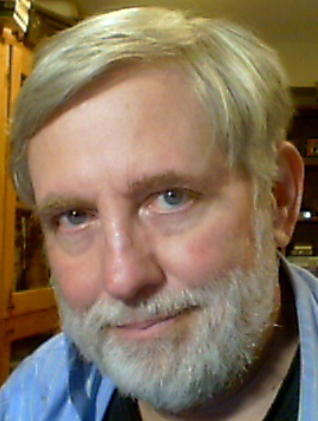 That single contest essentially relegated soccer to an inferior position–especially after the development of baseball and basketball–in the U.S. athletic scheme of things, from which it has never recovered. The heroically famous expression “I’d die for dear old Rutgers” was supposedly uttered by Rutgers football player Frank (Pop) Grant as he was being carried off the field after breaking his leg in the 1892 game against Princeton. (After that 1869 win, it took Rutgers 69 years to beat Princeton again in the football sport that developed). However, there is plenty of authority–even cited by Rutgers itself–that what Grant really said was, “I’ll die if somebody doesn’t give me a cigarette.” You have to watch that old sports history.